Playing board games is a fun and engaging activity that transforms any party or small gathering into a genuine success. Plus, it’s an excellent opportunity to reveal your talents and let others know that you are a team player. New board games for adults are especially captivating that you’ll fall into the trap and believe that the situations are real. If you need some help to compare party games, you might want to take a look at these cool suggestions. Board games are funnier if they get the entire family involved, including the children. Because of this, games are even more appealing. It is easy enough for children to play but challenging to make adults spend their free time trying to win the big prize. The unit comes with a folding game board and sequence playing cards and chips. Plus, inside the product package, you’ll find detailed instructions that explain how the game works. The rule is pretty simple: the first player that manages to get rid of all of his cards wins the hand. It is not necessary to keep a score. Another great option is this cardboard society game that is suitable for two up to five players. If you like adventures, you’ll most likely love this game because it is based on a cross-country train experience that could bring you some big money. The winner of this competition can win $1 million if he or she can travel by rail to most cities located in North America in just seven days. One round won’t take more than an hour to finish. 225 colored train cars allow you to go on several railway routes that connect the cities across the entire country. When something is forbidden, the temptation gets higher. Humans are likely to want to do or say the things they aren’t supposed to because it gets into their head and it’s difficult to remove. This game challenges its players to guess words and phrases without mentioning the forbidden words. 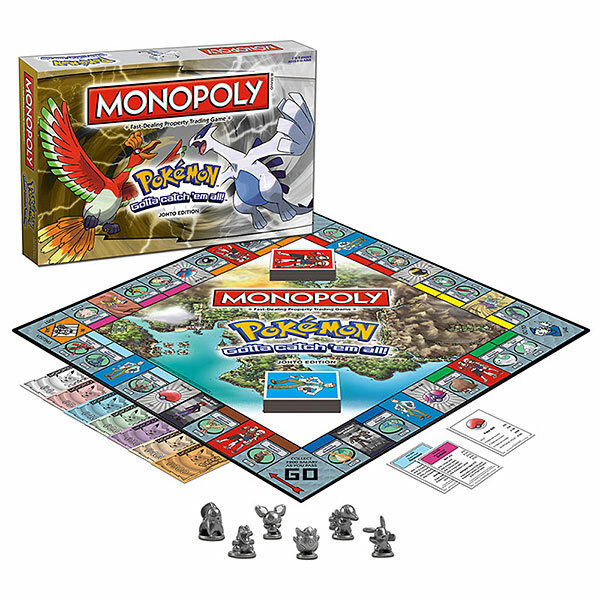 The game is manufactured using safe materials that are suitable for children. Also, this board game must be played in a team. When it’s your turn, you need to make the members of the group guess the secret word without mentioning the obvious clues. If you use a Taboo word, you’ll end up losing a point. Trying to conquer territories is risky business if you don’t have a perfect strategy. You can polish your winning and leading nature with the help of this board game and take over the game world. Using military strategy, you‘ll make alliances, avoid betrayals, and surprise, occupy the territories that you want to amass. Furthermore, the product includes a game board, armies with 40 infantry troops, 12 cavalries, and eight artillery each. Also, there’s a deck of 56 cards, one card box, five dices, five war crates, and the game guide. Players start by setting army figures and placing them throughout the map to win as many places as possibles. Mysteries fans will be delighted with this board game that consists of one murder and six suspects. This suspenseful game gives you the opportunity to play the part of the detective and find out who murdered Mr. Bobby of Tudor Mansion in the privacy of his own home. On top of this, you are supposed to use the information and the clues to nominate one of the characters that supposedly had a purpose of committing such an atrocious crime. The board game comes with everything you need to reach a conclusion such as six tokens, six miniature weapons, 30 cards for weapons, rooms, clues, case files, and notebook sheets, two dices, and the instructions. This board game is considered to be one of the greatest games in the world. It even received the ‘Game of the Year’ award, and many players believe that, if you want to turn your party into a success, this game is the key. You can play it with a minimum of 3 people, and each session lasts about one hour or so. 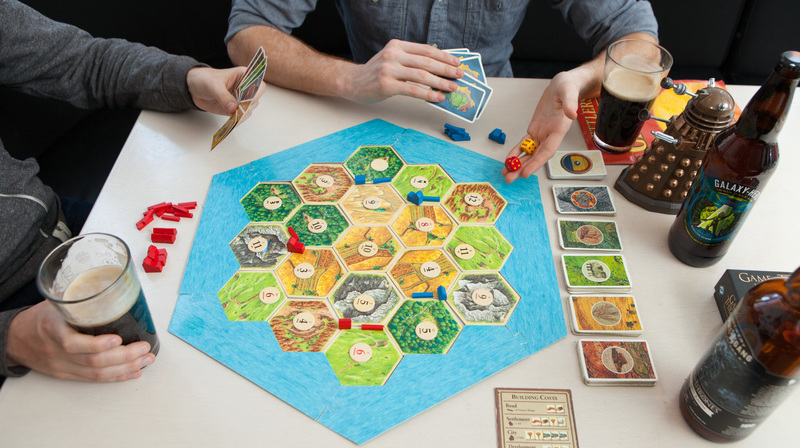 The players seek to tame the remote and luxurious island of Catan. This place has excellent pastures, fields, hills, mountains, and deserts that are waiting to be explored. With every game, you have the chance to create a different board. Some people like to see beneath the surface and get secret information. This hunger for conspiracies can be cured with this exciting board game that lets you test your knowledge about the Internet world. There are five types of conspiracies to choose from, depending on your personal choices, such as Mithos, Aliens, Technologies, Schemes, and Random. If you answer correctly to the questions, you collect conspiracy cards that eventually led you to win the game. Just make sure you take into account the government cover-ups that can interfere with your collection of cards. Aside from this, each card is outfitted with a QR card that comes in handy if you want to check for more details about the subject online. If you have a cool group of friends that don’t get their feelings hurt easily, this game might be an excellent option to spend your night with. The whole point is to bring as many people as possible into the game because it gets funnier when not taken so seriously. You’ve got 250 prompt cards that have a statement written on the front. Then, you read it out loud and nominate a friend who’s more likely to do the thing printed on the card. The one that ends up having the most tickets will lose the game. With so much entertainment available online, you might feel like you never have time to consume everything that is thrown at you. However, if this fast paced type of entertainment is not for you and you feel like you need a break, without getting bored out of your mind, then we suggest trying a board game to play with your friends. A simple look at what is available for sale right now will make you think again, though. With players getting their taste more and more refined and interests becoming more varied, the companies making such games are vying for buyers’ attention, by offering a broad range of games. Board games are for everyone. Manufacturers are getting better and better at catering to different tastes and preferences, which means that there is no shortage of games to choose from. If narrowing down your search is the problem you are facing, given the plethora of options available, the following guidelines will help you in your quest. One of the most important things to consider before purchasing a new board game is the age of the players. Are you planning to play the game with your kids and not with your buddies? Then you need to browse through the best family board games ever. Even some old titles may surprise you with their ability to keep things fresh and exciting while teaching your kids a few things about game rules and competition. Of course, things change a great deal if you plan on playing with other people your age. Nobody says that board games are just for kids and nerdy teenagers. Some titles are so complex that they need a lot of strategic thinking involved to be played well. That is why we suggest seeing what cool board games for adults are offered by manufacturers. You will be pleasantly impressed with the broad range of games that cater specifically to adult players, through their complexity. When you are inviting friends over to join you in playing a board game, you must be aware that you should avoid boring them to death, and not just your own person. Not everyone has the same interests, and that can be a buzz killer right from the beginning. A good idea would be to invite only friends that like the same things as you, but, if you feel like you could compromise, try to find a solution that works for everyone. There are board games where a lot of strategy and knowledge of warfare are involved, and these are games guys usually prefer. Board games for people with artistic interests are very numerous, too, and they can be for everyone. In case you are good at math, and this is a trait you share with other friends, consider a game that will put your wits to the test. People who like reading and writing have their fair share of board games they will certainly enjoy. Last, but not least, consider some board games where sports are the main theme if this is something you and your buddies like. This is, again, something to bear in mind since you might have limited time at your disposal. If you invite your friend for a game, and you know that everyone has plenty of time on their hands, you can be safe with the type of board game where matches typically last for two hours or even more. There are complex economic orientated games, where you have to create an entire empire, and, as we all know, Rome wasn’t built in a day. However, you should not keep everyone glued to the table if that is not possible. Search for games that can be played in less than half an hour. This rule is applied when you play with children, too, because they get tired easily and they do not have the necessary attention span to handle long games. It is also a good idea to set a time limit. Even the best board games to play with friends can get frustrating if they last for too long. Consider even bending the rules for winning a little, if nobody has that much time at their disposal for a long game. An important question you need to ask before going for the most popular cool board games that are available is whether you want to play against your friends, or in cooperative mode to win against a boss or to conquer a challenge presented by the game itself. Again, the age of the players comes into play. If you are a parent, wanting to teach your kids, about the importance of working as a team, the answer is obvious. Things change a great deal if you are playing with adult friends. Teamwork is one thing, but what could be more fun that to challenge your buddies to a bit of friendly sparring? Make sure that no one is a sore loser, though, because that will make everyone feel a bit upset, instead of entertained. Even mobile game creators now bank on the players’ wish to compete with friends. No matter what game you pick, make sure that it is fun. After all, the ultimate goal is to organize a fun few hours to spend with your buddies, instead of being stuck at a computer all day long.